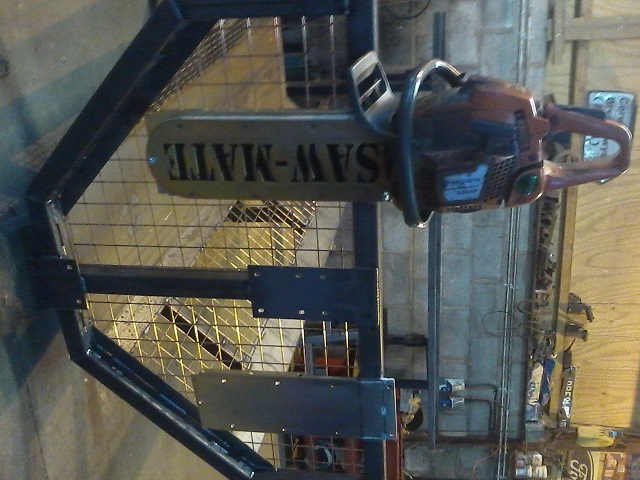 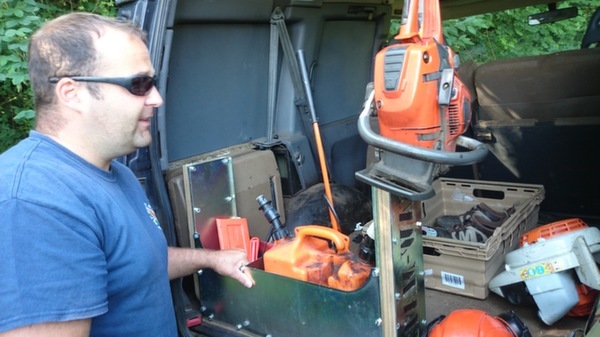 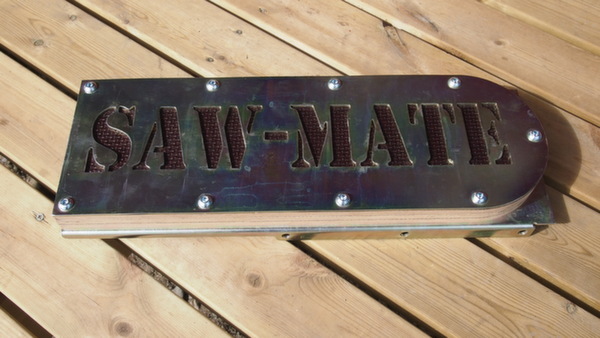 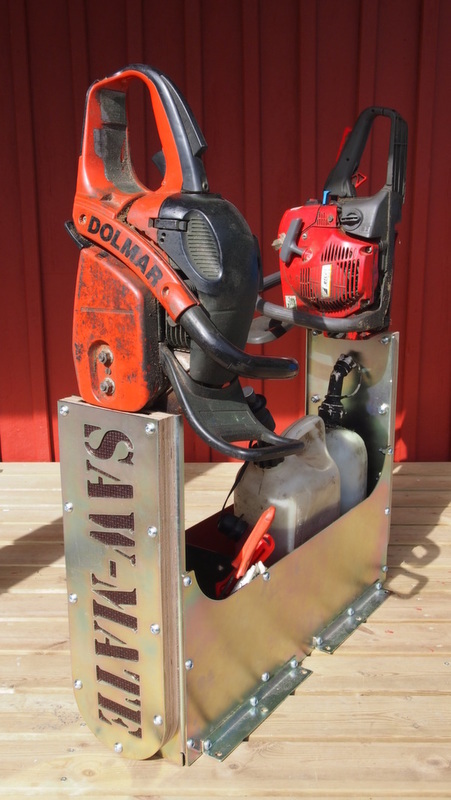 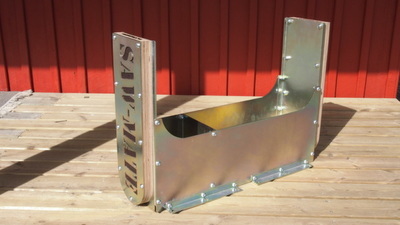 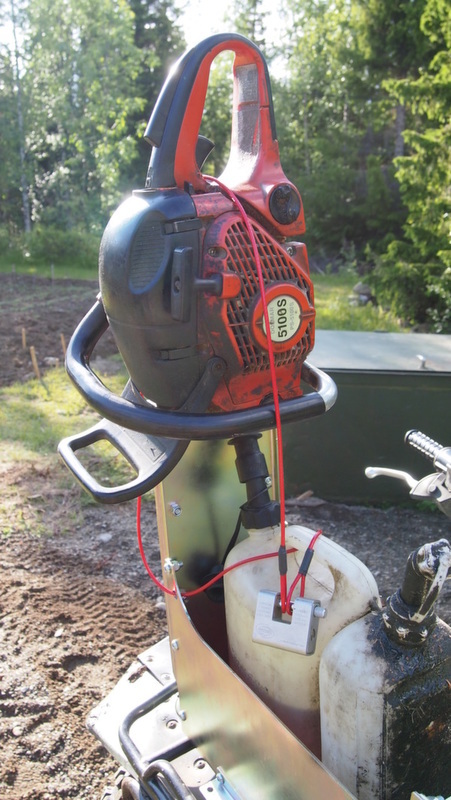 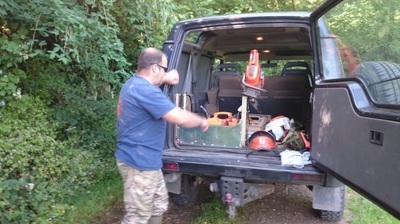 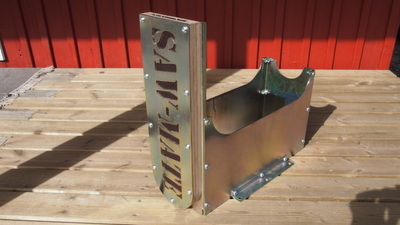 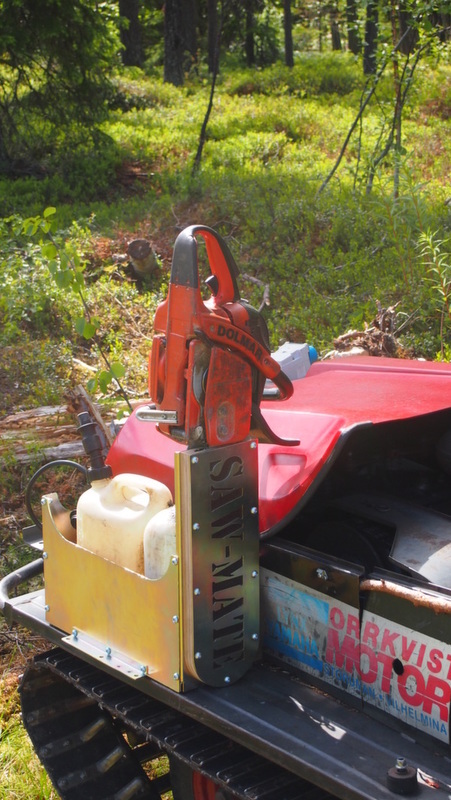 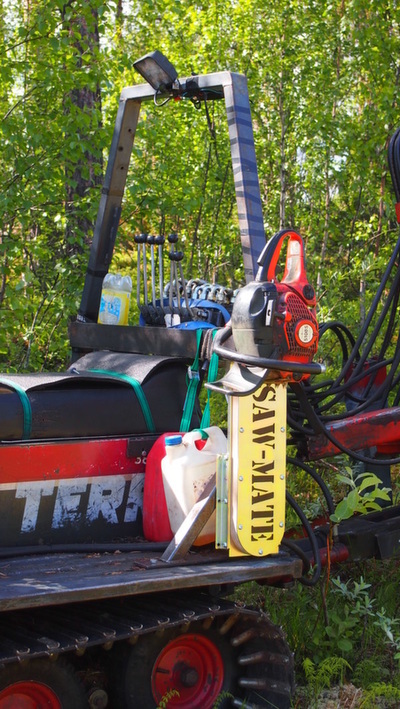 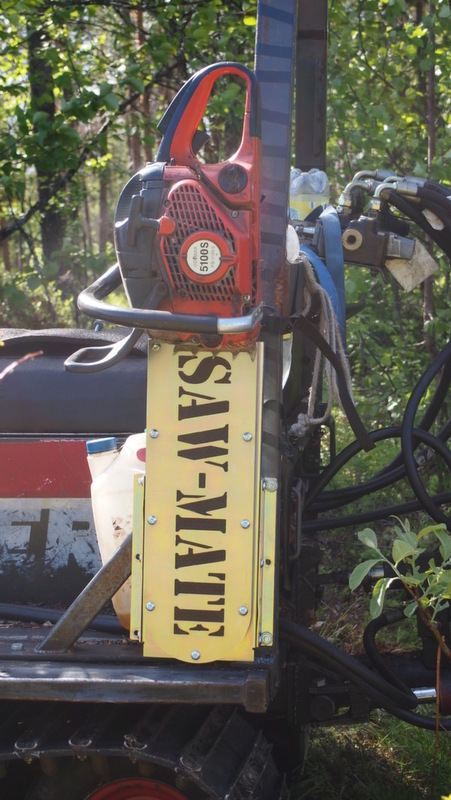 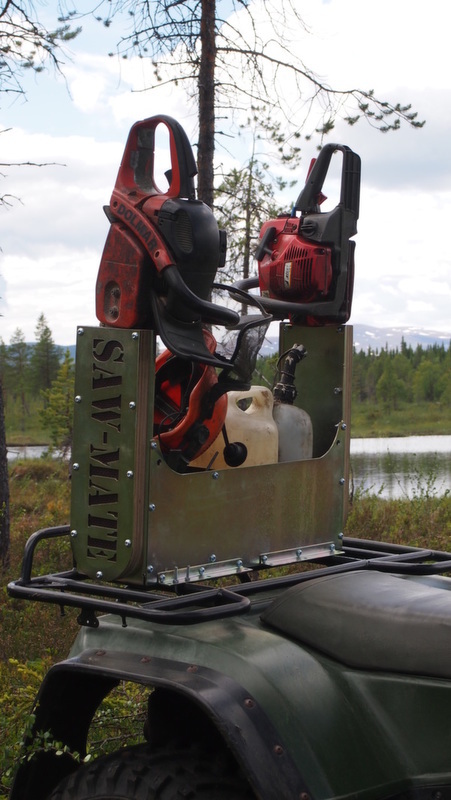 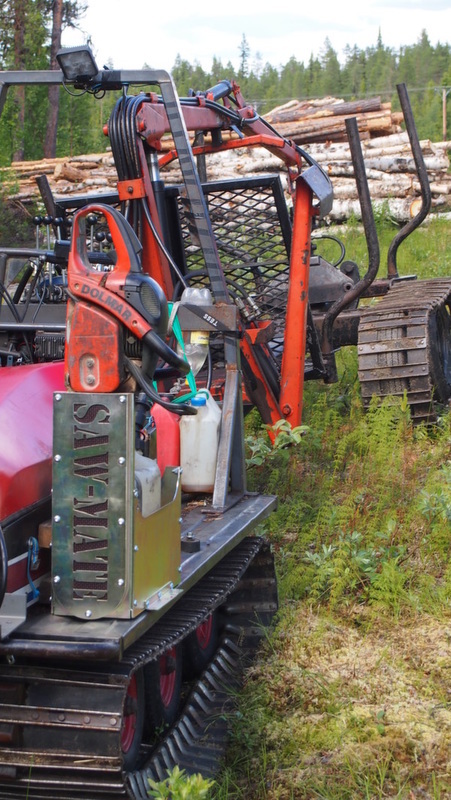 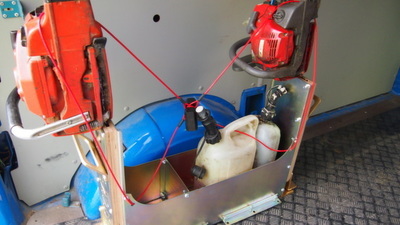 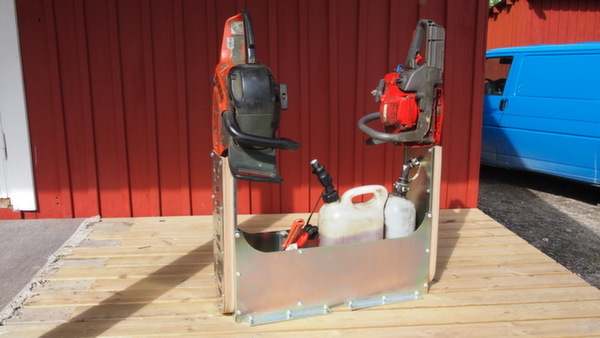 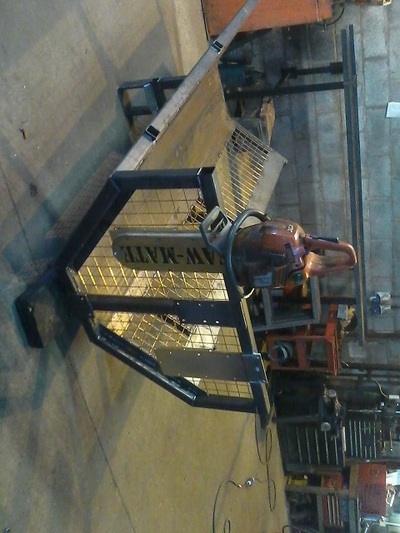 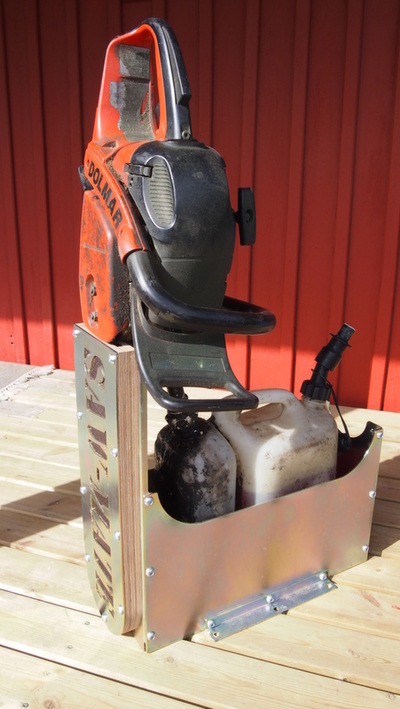 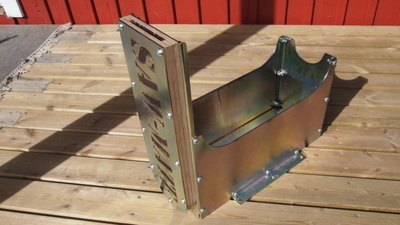 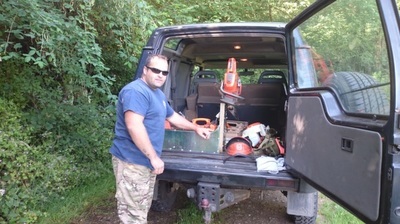 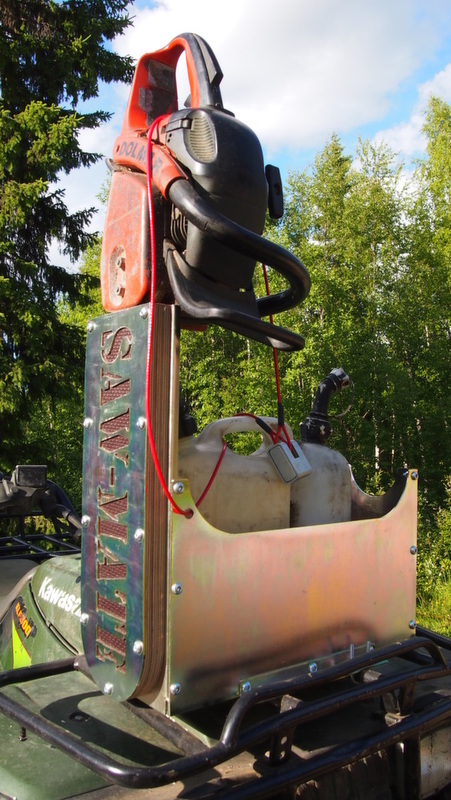 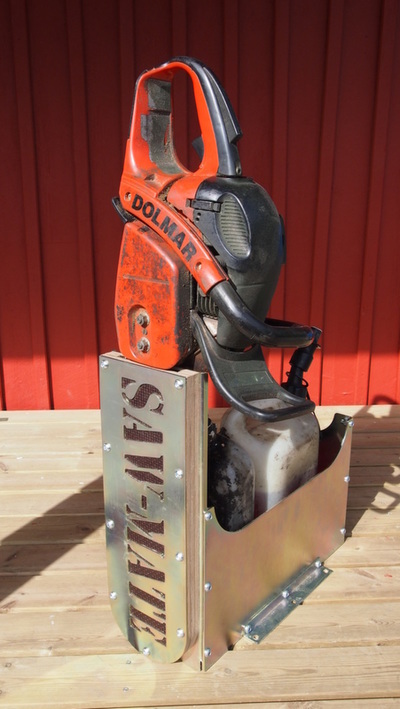 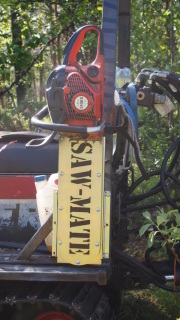 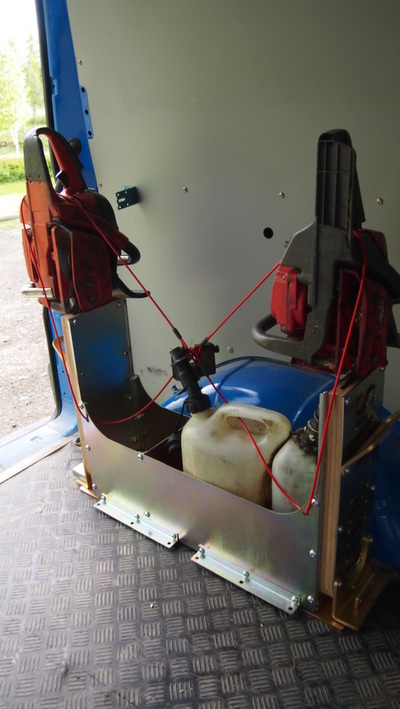 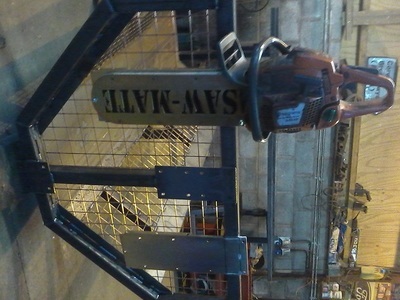 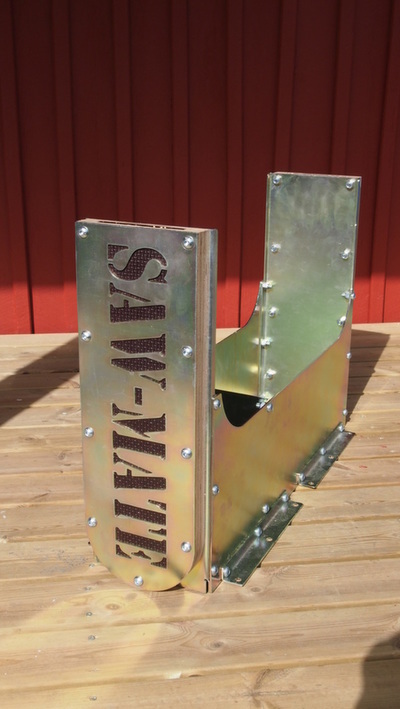 The Saw-Mate saw holder is the starting point of the system. 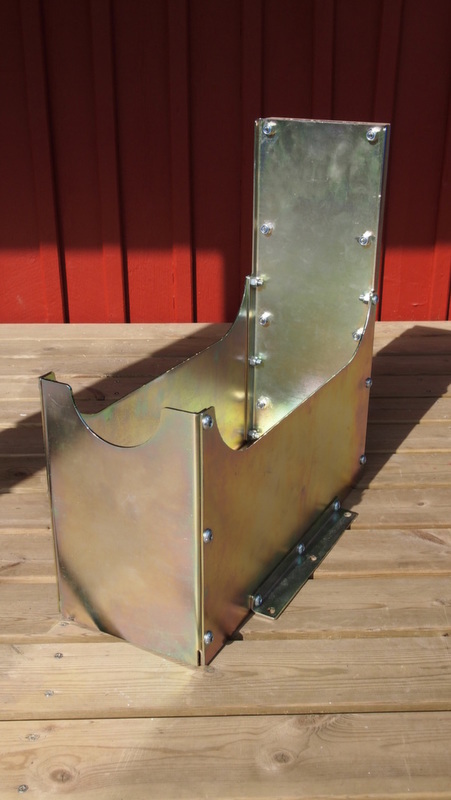 You can use these on their own, they come with two right angled mounting brackets which allow you to mount them on any flat surface. 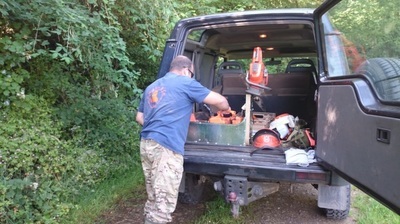 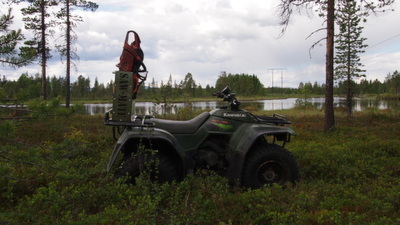 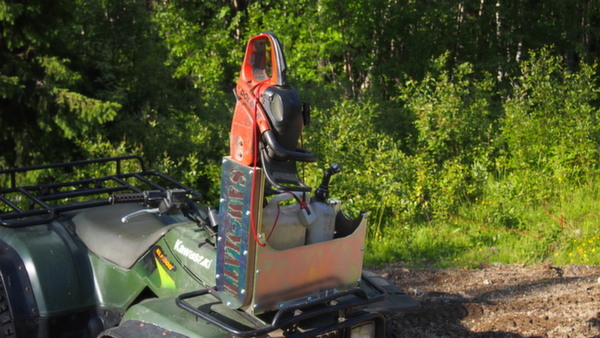 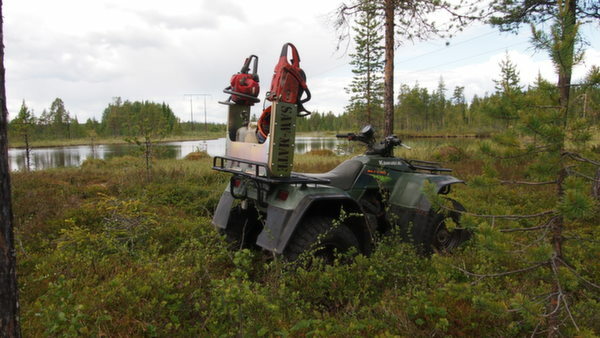 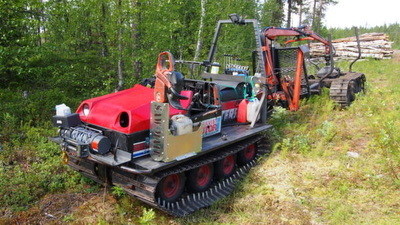 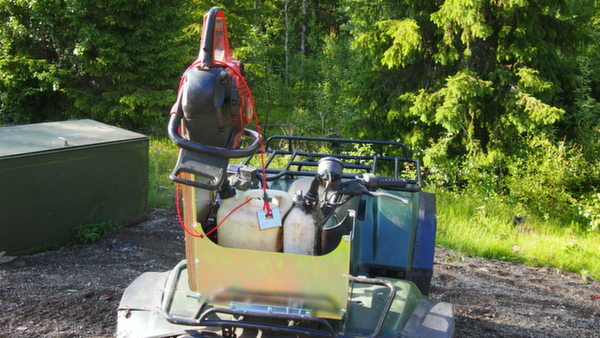 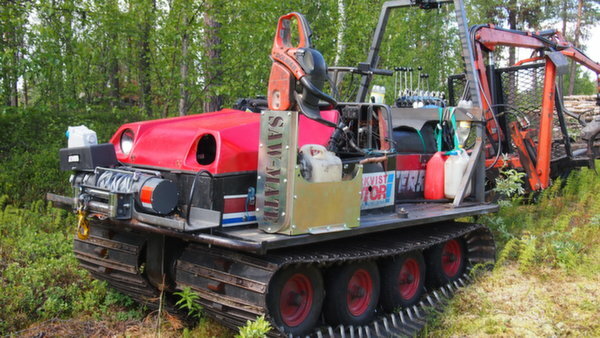 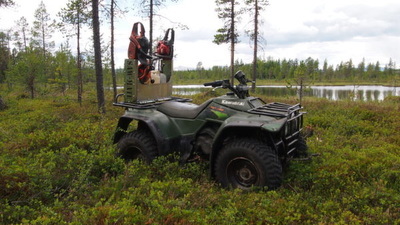 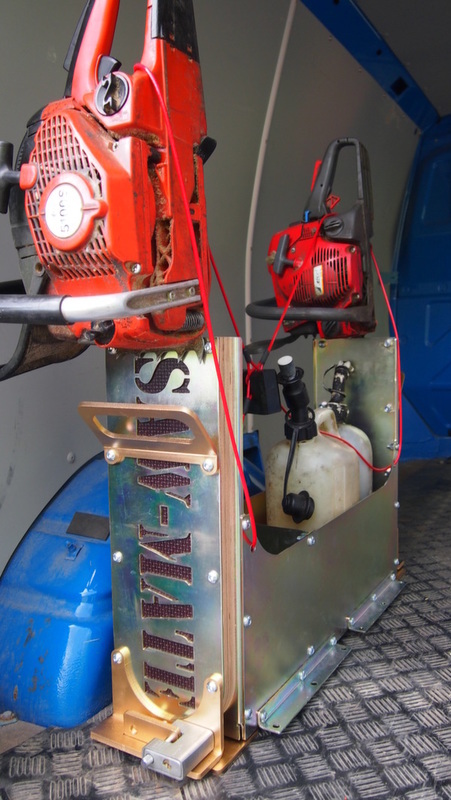 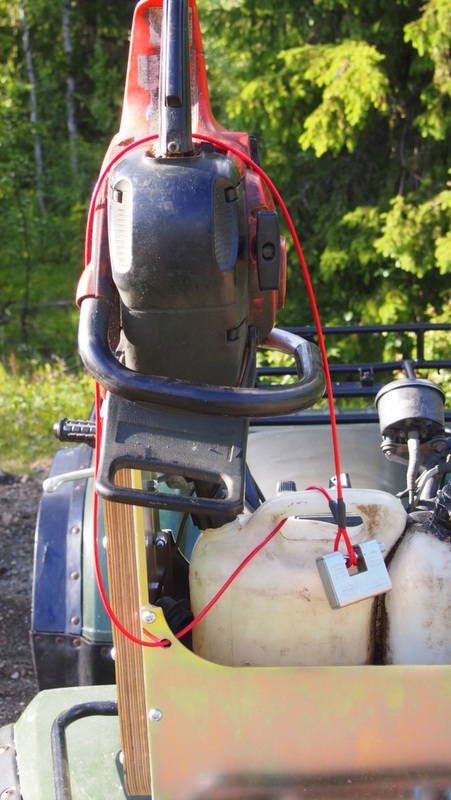 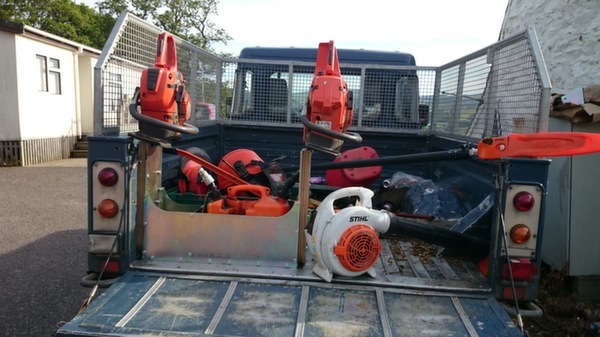 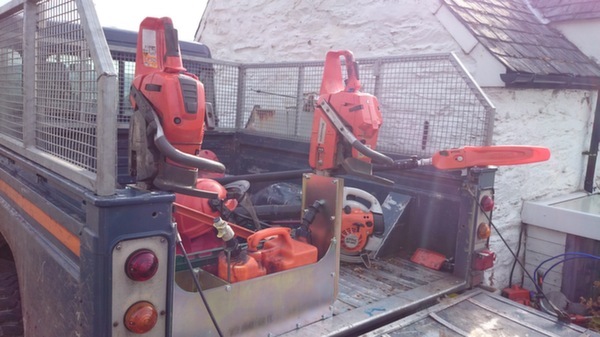 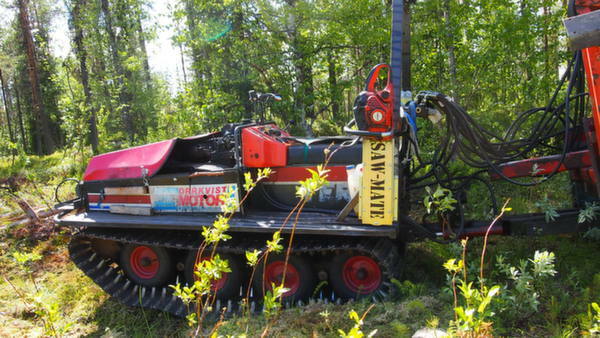 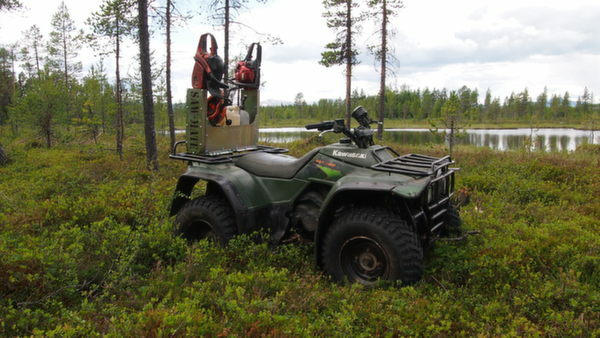 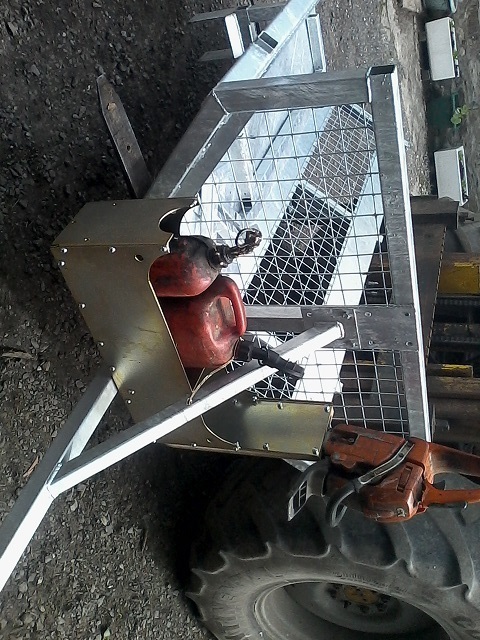 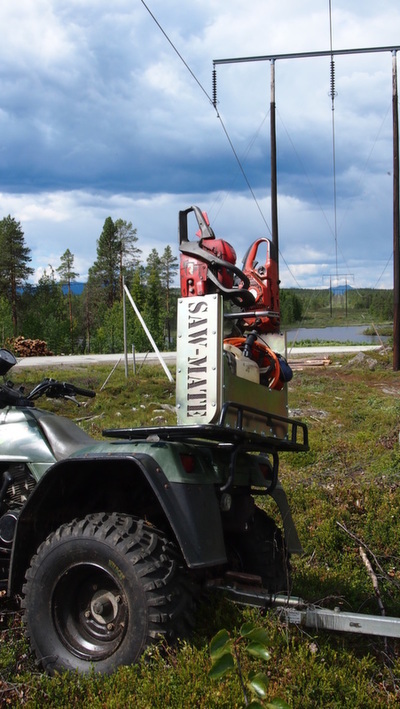 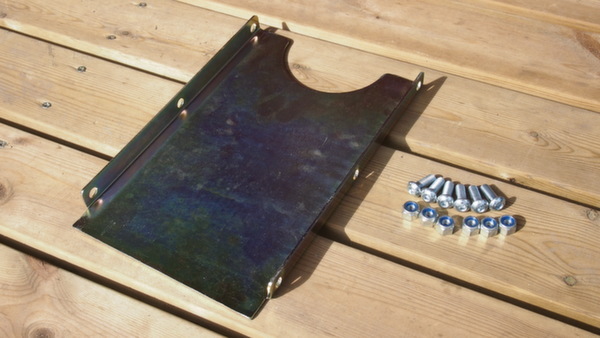 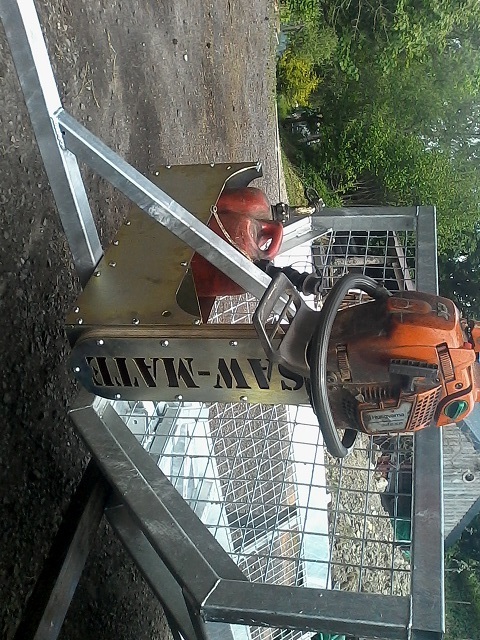 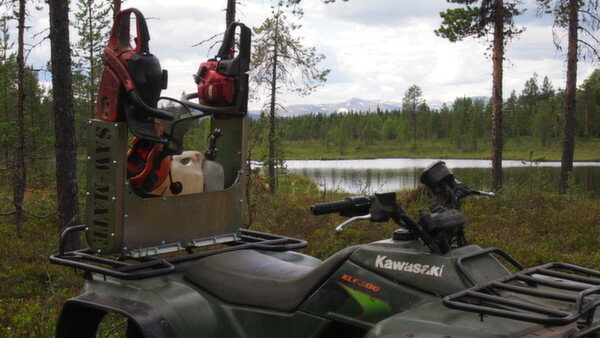 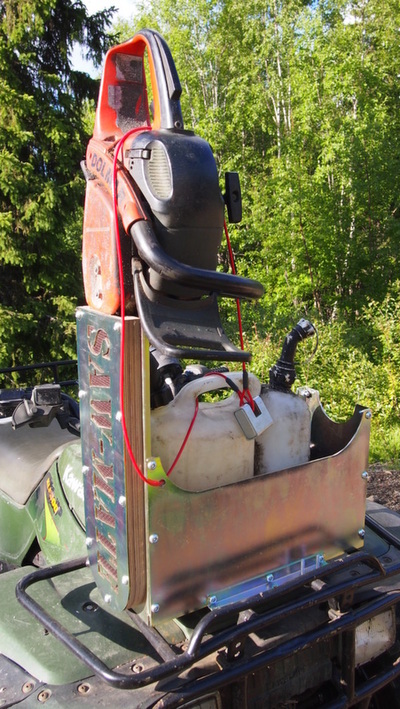 Ideal to go on the quad bike, tractor, timber trailer, log splitter, etc... 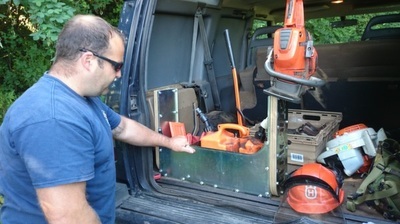 They are also excellent in the back of your vehicle to keep your saw where it is supposed to be. 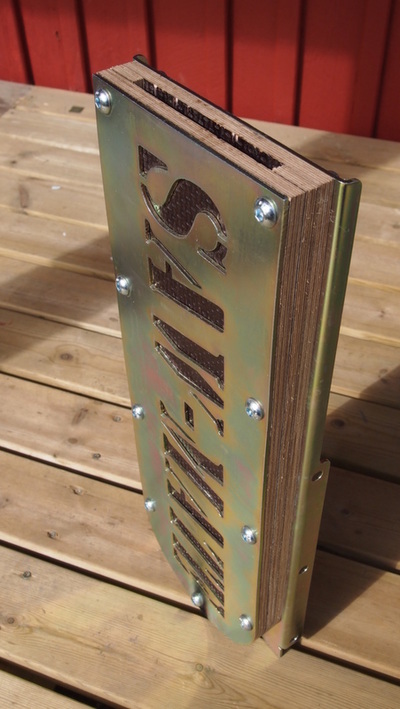 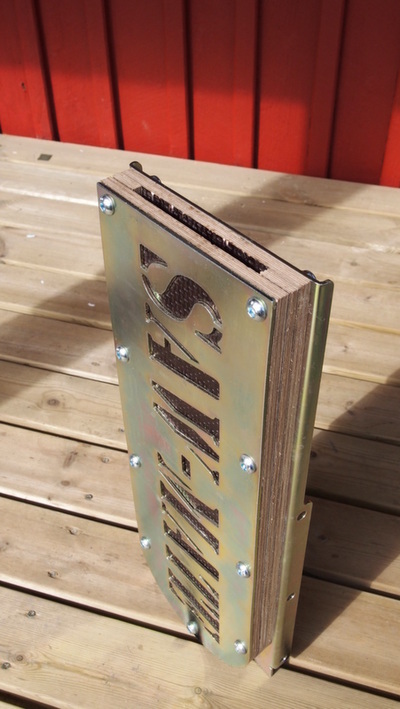 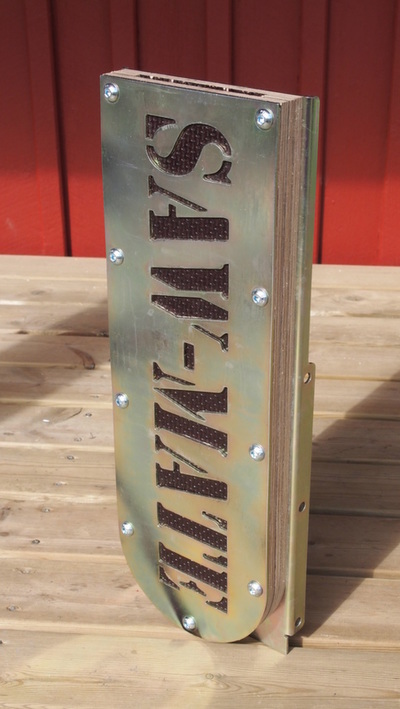 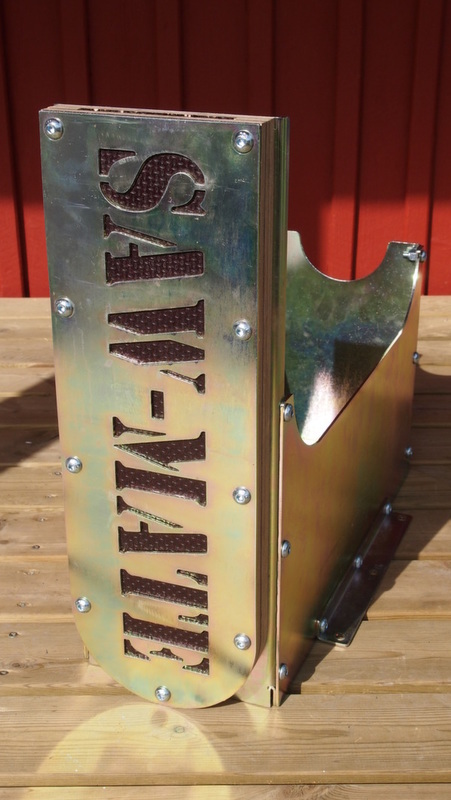 They are constructed from electroplated CNC cut steel with CNC cut phenolic plywood inserts to protect your bar and chain. 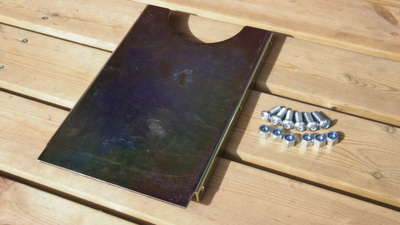 They are a very durable high quality thing.